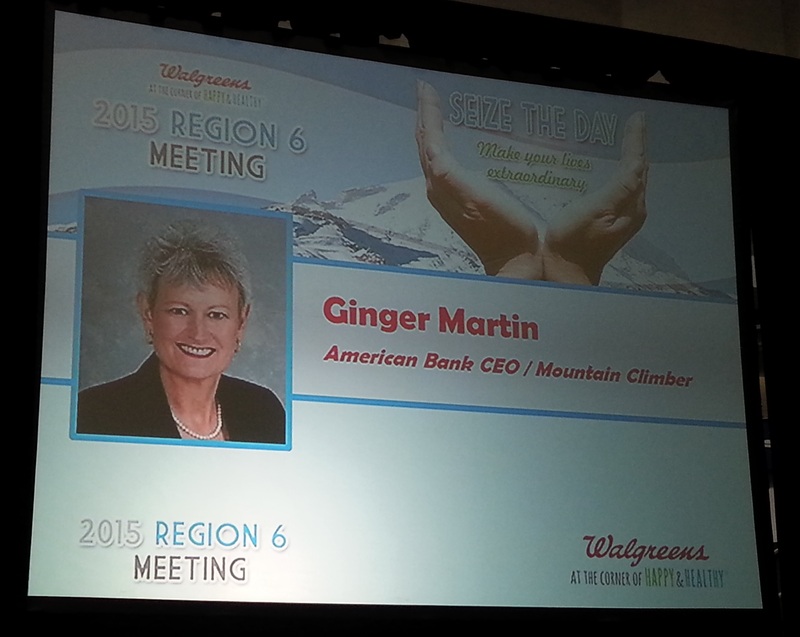 On August 26th, Ginger Martin, President & CEO of American National Bank, was asked to share the story of her Mt. 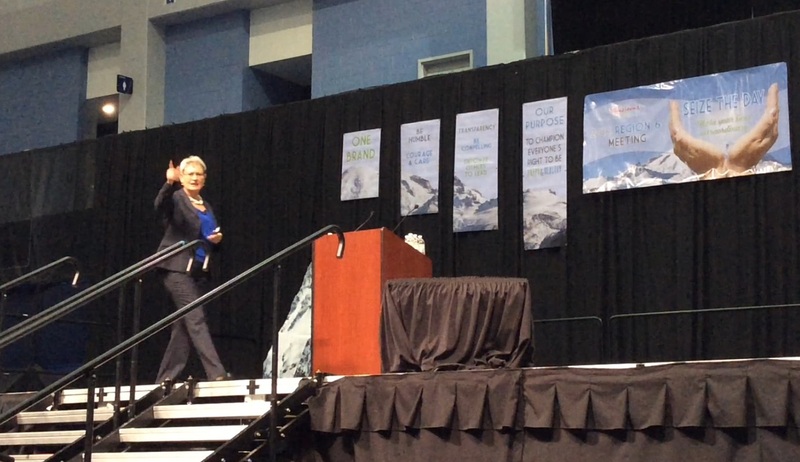 Kilimanjaro Freedom Climb and the leadership lessons learned with over 800 Walgreens managers at their 2015 regional meeting. The theme of the day was “Carpe Diem” or “Seize the Day” to which Ms. Martin added that anyone and everyone can do something to make a difference in their lives and communities. Ms. Martin was honored to speak to the Walgreens team and wishes them continued success in their careers! 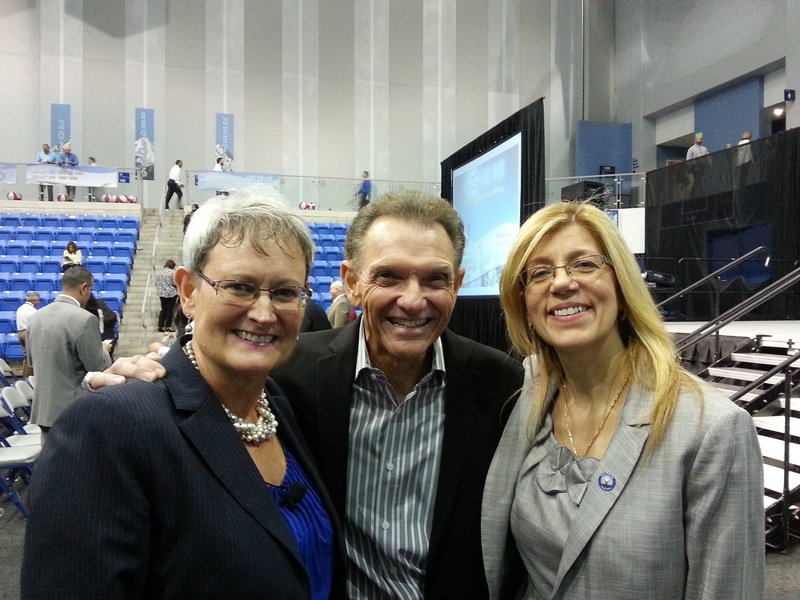 Ginger Martin with Tony Segreto, Speaker & Former Anchor on NBC6 News and Georgia Lehoczky, Regional Healthcare Director of Walgreens. This entry was posted on Wednesday, September 2nd, 2015 at 1:30 pm and is filed under Uncategorized. You can follow any responses to this entry through the RSS 2.0 feed. You can leave a response, or trackback from your own site.